What is the dosage? I’ve forgotten how to take them! 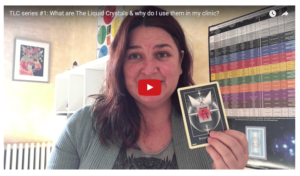 How do you work out which crystals you’re giving me in my remedy? What do I do if one of my remedy bottles runs out before the 21 day cycle? What do I do if I’m having a big reaction? Or what if I think they aren’t doing anything for me? What do I do if I have leftovers of my remedies at the end of the 21 day cycle? 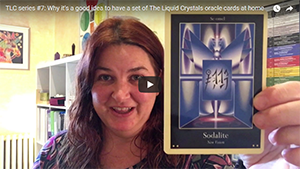 If you're interested in crystals and/or oracle cards I highly recommend The Liquid Crystals oracle. It's a fascinating tool that can be used in many ways. I also made a video about why I think you should totally get the cards if you choose to! You can find them on Book Depository, or The Liquid Crystals website. Please note: This recommendation is kick-back free! This recording is part of an online course I ran a while back. This one is for you if we've talked about doing some "meet your inner child" work. You can listen to the recording here, and/or download a copy for yourself. If it's of interest, you're welcome to join my Facebook group - Empowerment for Sensitive Peeps. It was originally created to further serve my clients, and now has people from all over the world as members! We offer two free group distance healings each week, and it's a safe and nourishing community to learn about being sensitive, an empath and other spiritual topics. 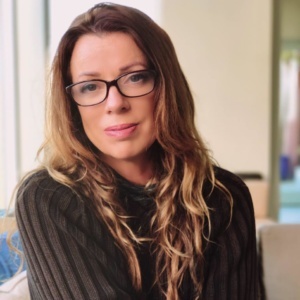 Melanie Tonia Evans does amazing work in educating people about Narcissistic Personality Disorder, narcissistic abuse and how to recover from this pattern of disordered relationships. She has lots of wonderful free resources and also runs a program called the Narcissistic Abuse Recovery Program. I have used this program myself and I find that because many of my clients are also highly sensitive, they often have to do work in this area themselves. 8. Articles from me on Boundaries! The topic of Boundaries is so so soooo important. Most of us never learned what they are or how to skilfully implement them. Please note: These recommendations are kick-back free!